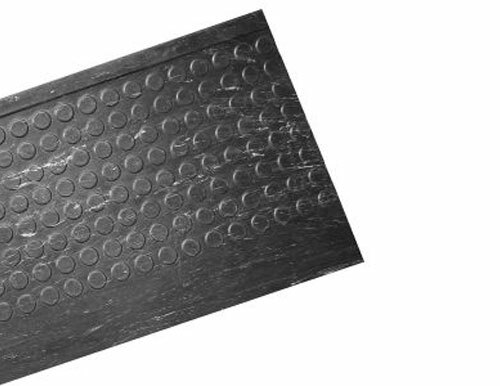 These black marble rubber stair treads offer safe interior stair coverings with a raised disc pattern design. When you’re looking to create fire-safe footing without compromising the aesthetics of your stairs, this marble modern design is a great choice. These anti-slip flooring designs are easy to clean and economical. Our rubber and vinyl stair treads are great for industrial use, commercial use, or any building with heavy foot traffic. Typical installations include hospitals, medical buildings, restaurants, garages, commercial buildings, and industrial offices.